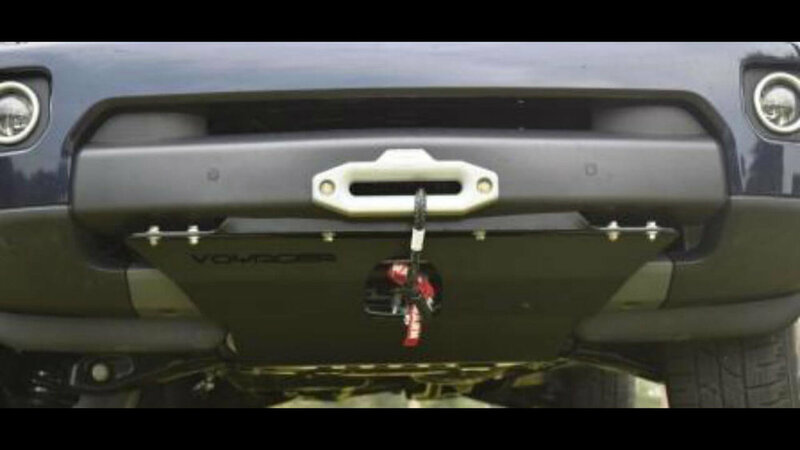 The Hidden Winch Mount is fabricated with 3/16 plate steel is fully welded and powdercoated by our certified experts. It is compatible with supercharged and non supercharged LR3 and LR4. It is also compatible with parking sensors/sonar, intercooler, radiator, and stock bumper. With the Hidden Winch Mount installed, it provides a location to bolt light mounts, brush bar, bull bar, etc. Includes under-hood winch controller mount and installation support. Compatible with most WARN and Superwinch model winches.